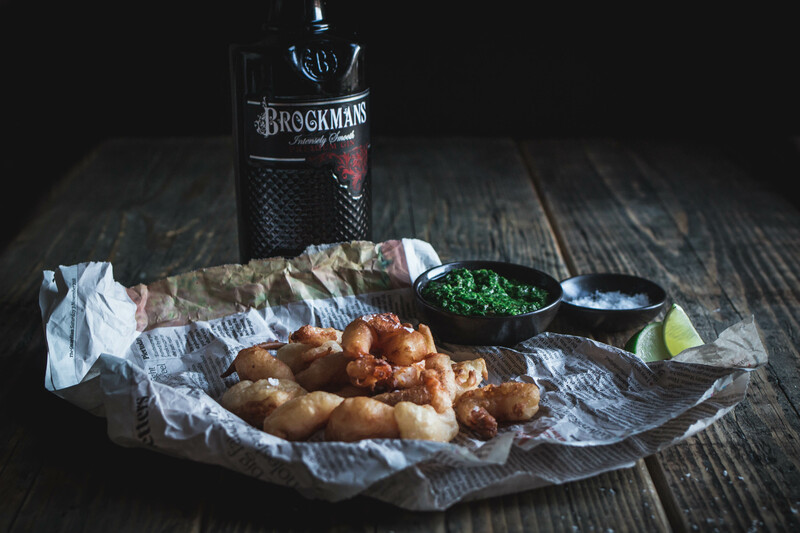 For those of you who are equally as obsessed with gin and tonics as we, this is the perfect recipe to double your intake as you sip on our perfect serve with friends: Brockmans Gin and Tonic Battered Prawns with Coriander Chutney. 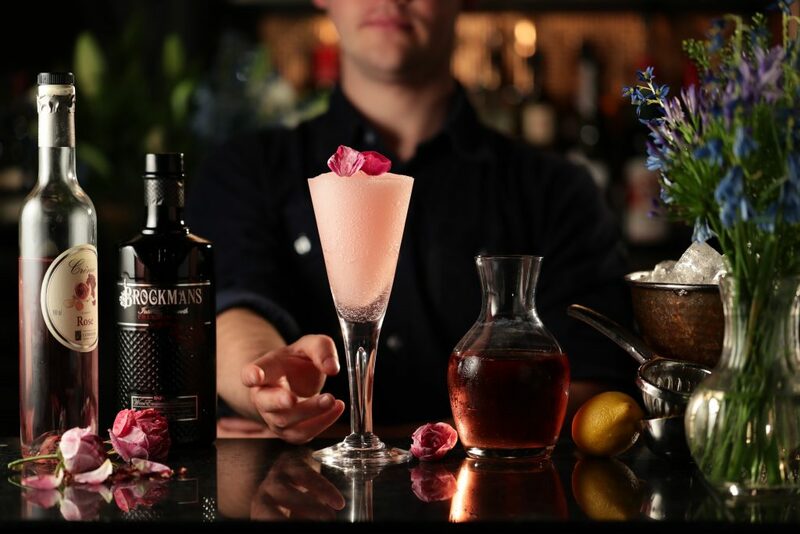 Created by Rebecca Goodman who developed the beautiful recipe, photography and online vintage home ware shop Figs and Pigs, this recipe is designed to heighten the botanical experience of Brockmans. By adding a bit of tonic to the batter, it becomes airier and lighter, beneath the crispy exterior that provides for a full range of textures. Dipped in a bit of coriander chutney (one of our eleven botanicals), and drizzled in lime juice, the citrus elements in our gin shine. Not surprising given Rebecca’s ethos is simple: cook seasonally and with intention. Her aim is to serve as a catalyst for gathering together with friends over food, and this recipe proves easily shareable. As you sip your G&T perusing this recipe, don’t forget to find more inspiration from her colourful, yet seasonally-focused Instagram for more ideas to pair with our cocktails. You will need a blender for the chutney. In a dry frying pan lightly toast the cumin seeds for 1 minute. Add all the chutney ingredients into a blender including the toasted cumin seeds and blitz to a chunky paste. Spoon into a bowl and set aside until ready to eat. In a bowl mix together the flour and salt. Now add the gin and tonic, mix well to create a smooth, thick batter. Stir in the soy sauce (this just gives the batter a little colour). Pour the oil into a deep pan and heat on a high heat until it reaches around 180c. You can drop in a little batter to test the temperature. It should go brown and crisp. 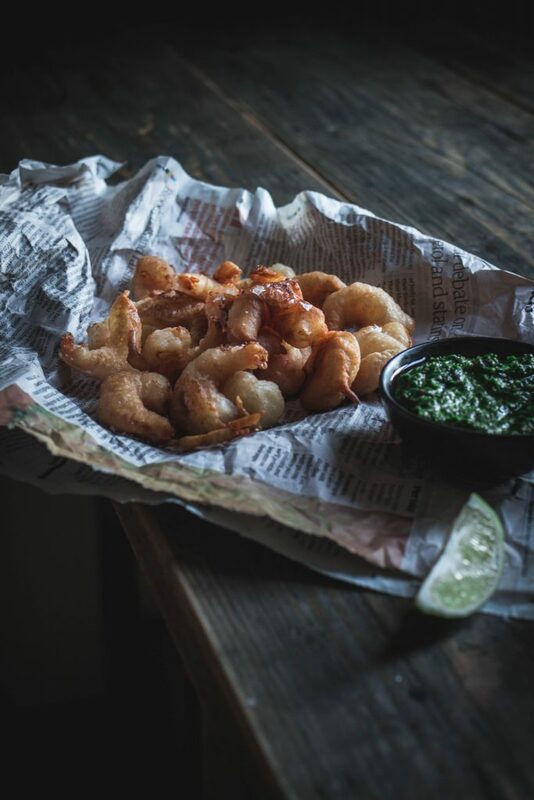 When the oil is hot enough coat the prawns in the batter and gently drop them in the oil in batches, cooking for around 2 minutes until golden and crispy. Remove with a slotted spoon and drain on a kitchen towel. 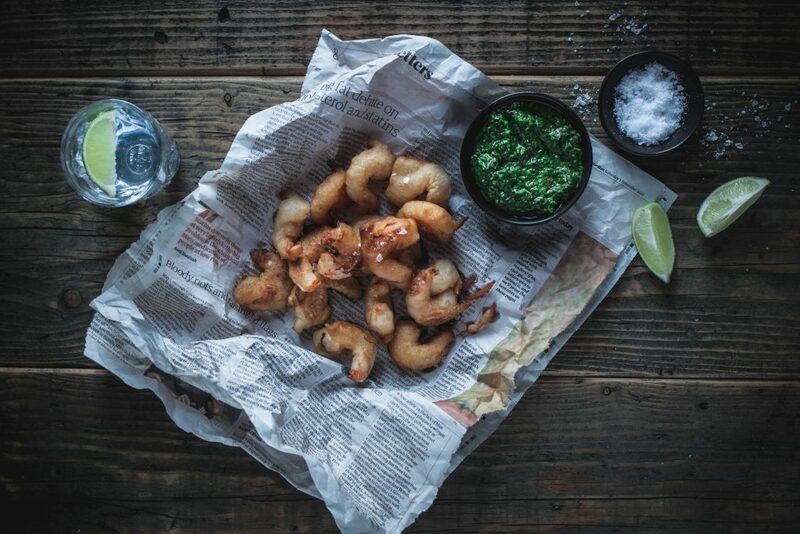 Sprinkle with salt and serve with the coriander chutney and lime wedges.